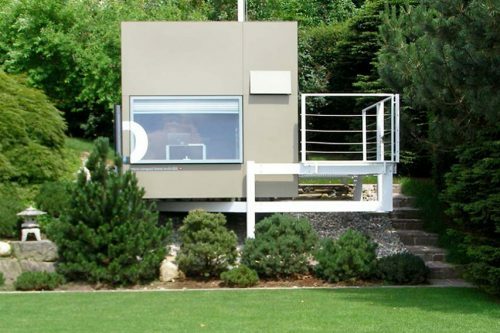 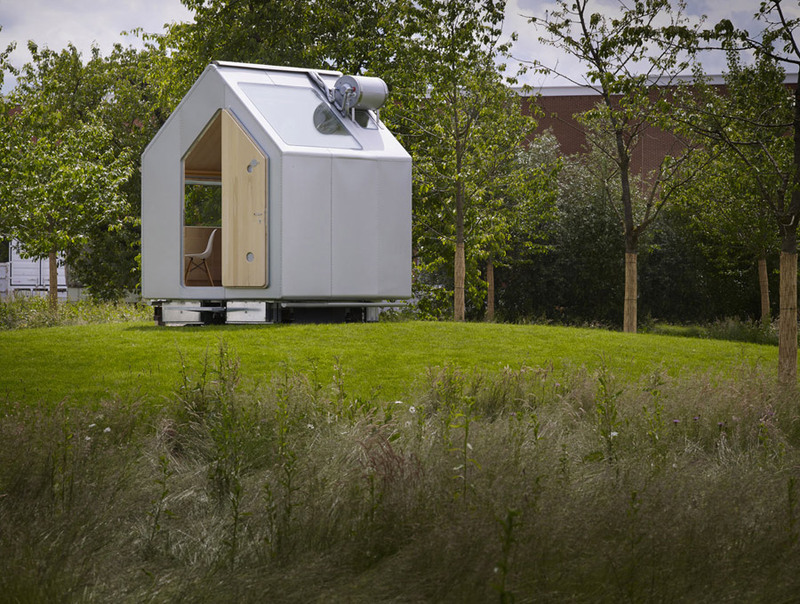 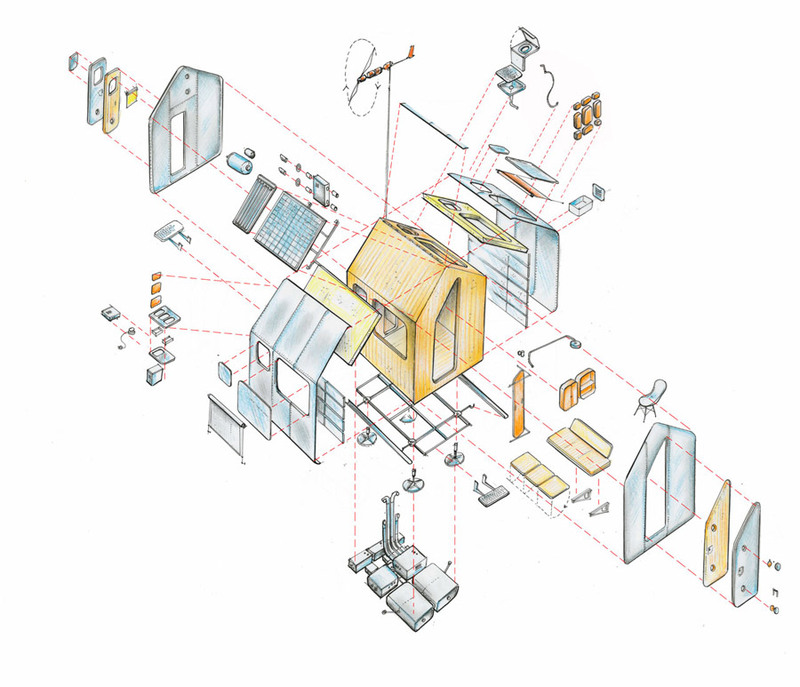 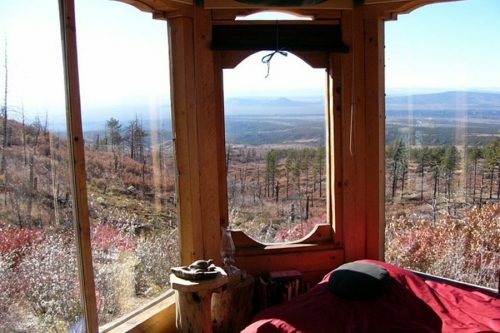 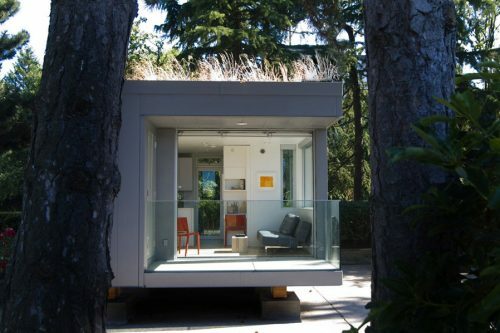 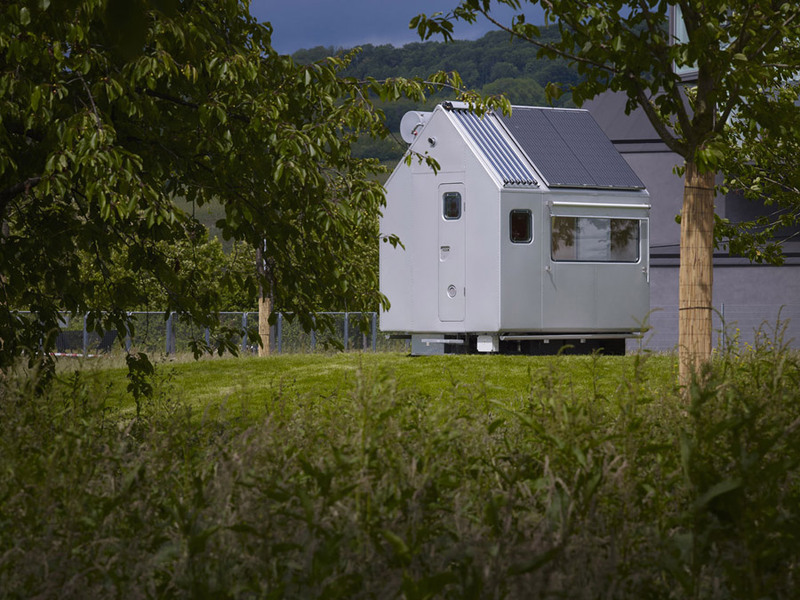 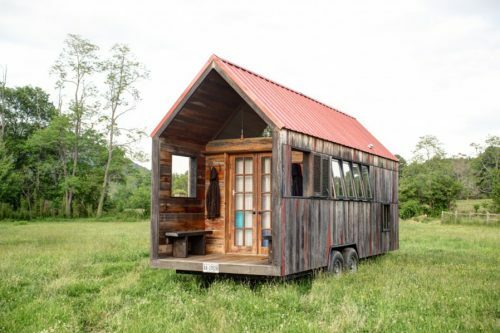 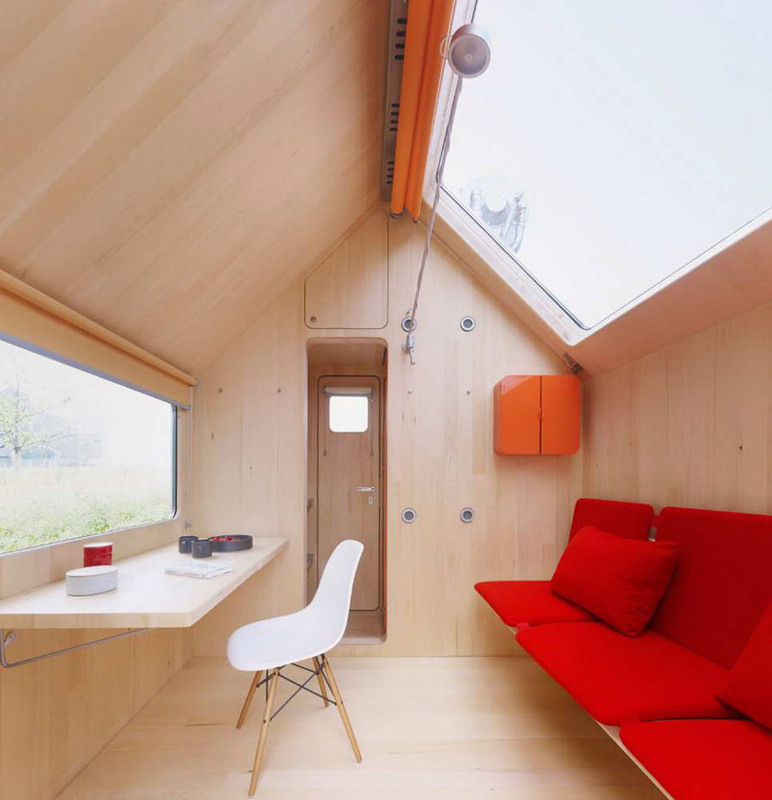 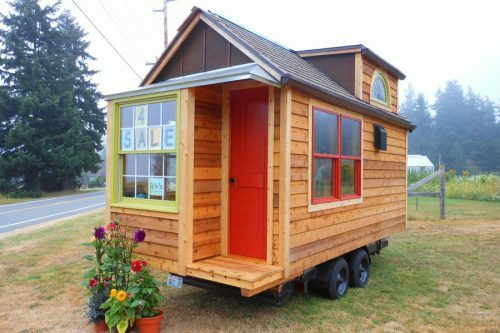 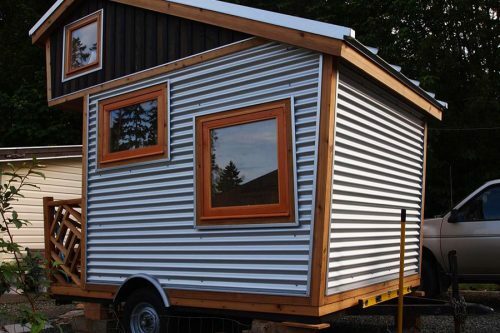 Micro home with off-grid system in place in Weil am Rhein, Germany on the Vitra Campus. 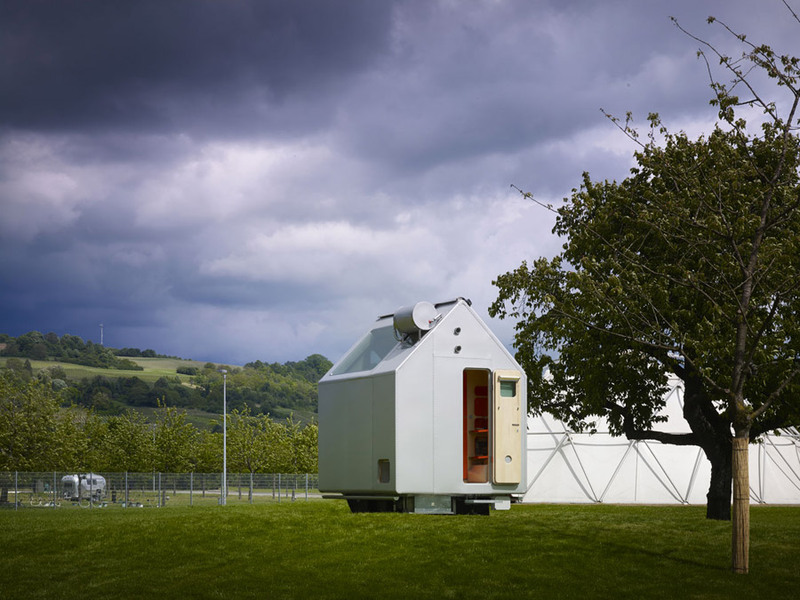 Designed by Renzo Piano. 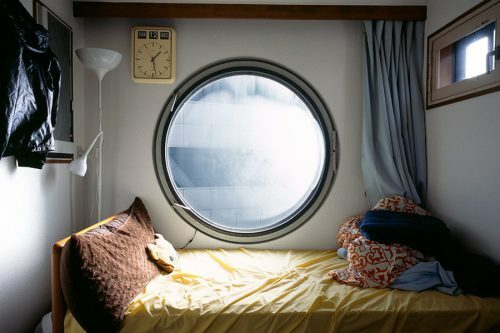 The interior reminds of the 1960’s – all Space Age.